Rep. Darrell Issa, R-Calif., who is an electronic security expert, criticized FBI Director Jame Comey for being “unprepared” to answer questions about the fight to get Apple to unlock an iPhone belonging to one of the San Bernardino shooters. “He hadn’t asked the questions or taken the steps that would have led to his discovering whether or not there was a one-time solution as he kept telling us there was,” Issa told NPR. 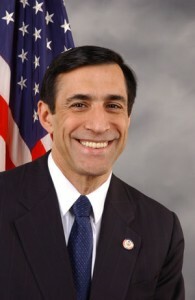 Issa was commenting on Comey’s Congressional testimony this week about the debate over whether Apple should help to unlock a phone. Issa said Comey “seemed befuddled” and couldn’t answer basic questions about finding ways to access the phone. Posted: 3/3/16 at 8:36 AM under News Story.